Thanks, I'm really enjoying this. August is always a hard month for me, but remembering Jerry like this is just the pick-up I needed. Thank you very much for your wonderful writing and compilations. Would you consider posting a listing of the elements of the Listening Guides. Just as a way to point folks in new directions. Thanks again! Thanks for your comments. I'm not sure I fully understand what you are asking for in "a listing of the elements of the Listening Guides" which isn't already addressed in the Label Cloud or Listening Trails, but I very much want to help make the site as user friendly as possible. Could you explain that a bit more for me? Thanks. For years I've been trying to really 'get' the Dead. I knew I ought to like them, as everything I read made them sound perfect for my musical (and lifestyle) tastes. But being English, I grew up listening to our versions of psychedelia, and somehow when I gave the Dead a go it never really worked for me - I'd try listening to them every now and again, but was never lifted up by the music in the way I had hoped for. But, in no small part due to this site and your podcasts, it's suddenly clicked; the scales have fallen from my eyes; it all makes ever-so perfect sense. Why didn't this happen before - who knows? But what's important is that I'm loving every minute, am like a kid in a candy shop with all the music yet to be listened to and, although I'm late to the party, intend to make up for lost time. 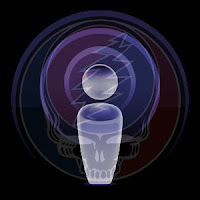 Thank you for making this, I just finished listening to the Scarlett/Fire, perfect sound and Jerry is rippin' it up! Love it!